Dreamy and insular, Wild Nothing’s Jack Tatum threatens to never get outside his own head with his music. Luckily for us, he pulls himself out and throws us a rope ladder with elements like “Midnight Song’s” Marvin Gaye-inspired melody and the ’80s pop propulsion of “Only Heather” so that by the time we get to the meticulously lush “Paradise,” we’re sucked in. 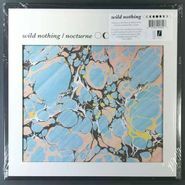 Wild Nothing’s Gemini was a warm, digitally enhaned indie-pop love letter to its inspiration, college rock of the 1980s. 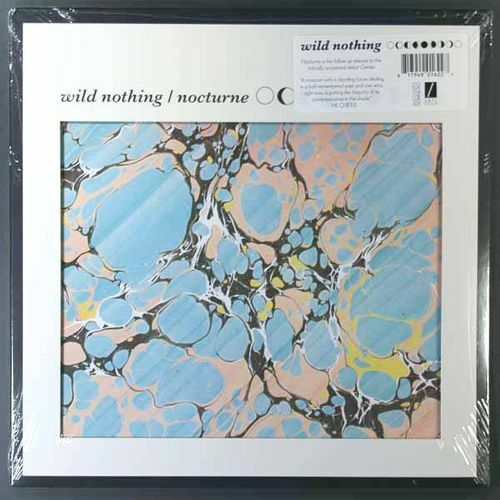 Since that release, Wild Nothing’s Jack Tatum has had a couple of releases, the Golden Haze EP and the Nowhere single, that have further proven Tatum an equal to his forebears, and that continues with Nocturne, which sands down any outlier sounds and offers a solidified statement of purpose for Wild Nothing. As you might guess from titles like “Nocturne” and “Midnight Sound,” the album is full of swooning nighttime pop, with swirling, delayed guitars, lovelorn vocals and synth washes lapping underneath it all. While the album’s opening three songs (“Shadow,” “Midnight Song” and “Nocturne) set the tone thematically, the more you listen to Nocturne, the more the shier songs stay with you, like “This Chain Won’t Break,” with its freestyle beat and bassline a weirdly perfect fit to its twee synths and melodies, or “Paradise,” a glorious New Wave totem that sounds like whitewashed memories of an ’80s prom. However, Nocturne doesn’t fall into the trap of sounding overly reverential to the ’80s because Tatum’s songs have become more confident, as he pulls off a refrain like “only Heather makes me feel this way” on the Cure-ish “Only Heather.” Nocturne gets so many things right, with its sneaking melodies, dreamy guitar textures and dreamier lyrics are Tatum’s alone, that everything feels like inspiration rather than pastiche.